As well as everyday brushes we sometimes need specialist brushes for specific jobs. Here are three that might be useful to add to your armoury. There are a number of radiator brushes available on the market but this remains one of the best and is suitable for ALL radiators types, and particularly useful for cleaning cast iron radiators, as it can fit through the side panel as well as through the front ones. It’s overall length is 96cm. It has a flexible wire handle to access difficult areas. 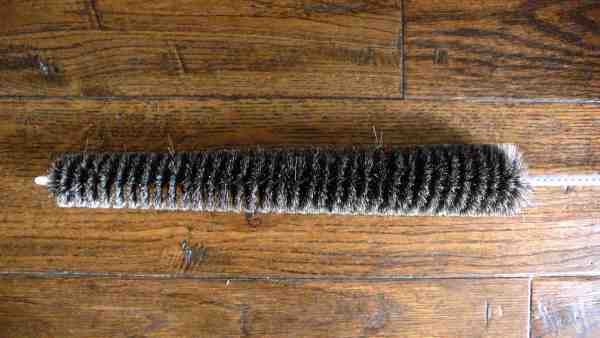 The brush head is 30cm long and made from very good quality, soft goat hair bristles. This is a brush that will last many years. 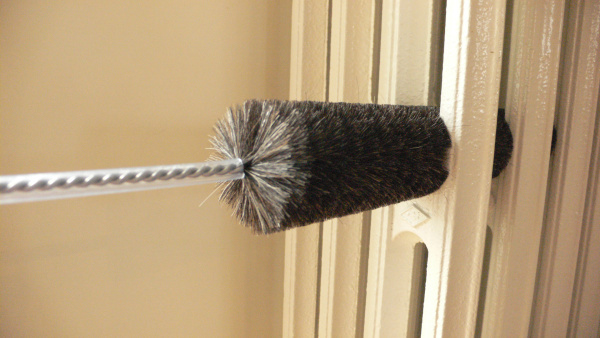 If you live in a house with very high ceilings then this is a brush you’ll use every once in a while for sweeping dusty beams or getting rid of cobwebs from the corners. The dusting heads are enormous (24 x 29cm) and are made from the softest goat hair. They come with a choice of two lengths of telescopic handle that screw on. One extends to 2.4m and the other extends to an enormous 4.5 metres. The telescopic handles are aluminium so light weight. These are magnificent brushes that will last a lifetime. This brush will bring a sparkle back to difficult-to-clean vases and jugs. It has nylon fibres but a soft rounded cotton tip at the end. It can either be used dry as a dusting brush or with a bit of soapy water to remove grime. It’s 49cm long. (Similar brushes come in all shapes and sizes for narrow necked vases and teapot spouts. Take a look on the website for more details http://www.plainuseful.com/.